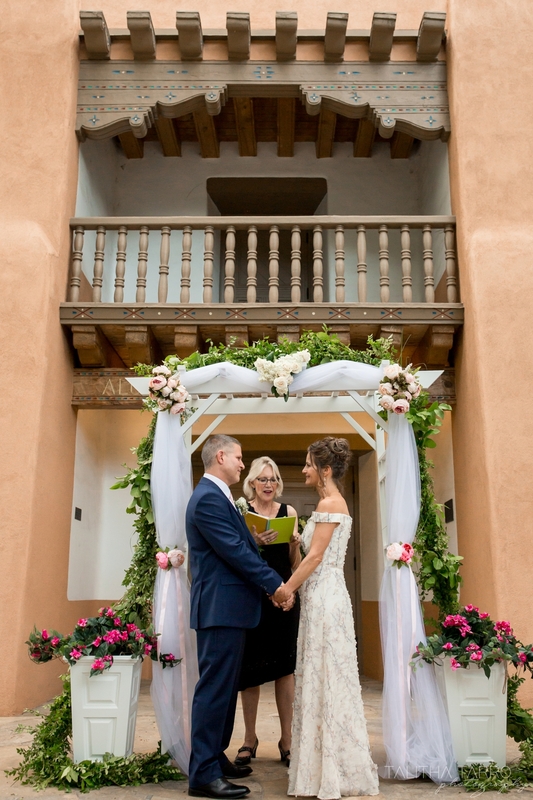 It was a lovely midsummer day in August when Joanna and Jeremy were married outside the beautiful adobe architecture of the UNM chapel. 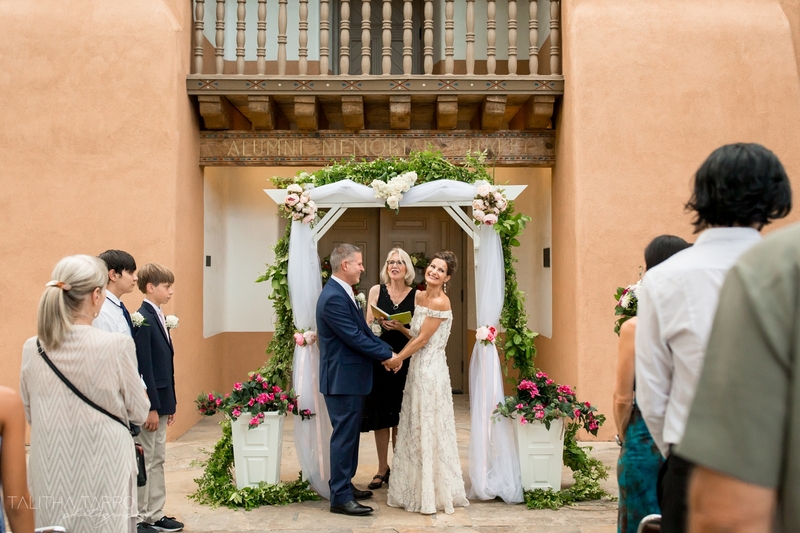 They were surrounded by their family and friends for the small and beautiful ceremony. 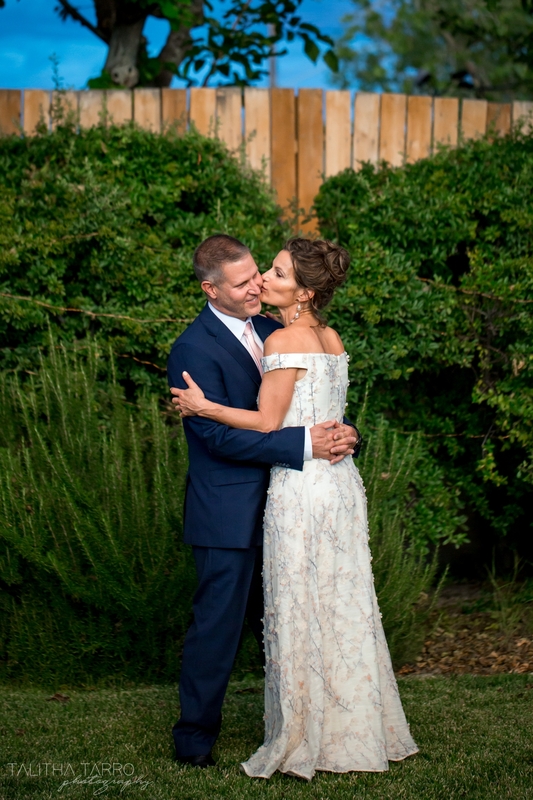 Most of the details of the day were DIY and put together with tons of creativity and love. 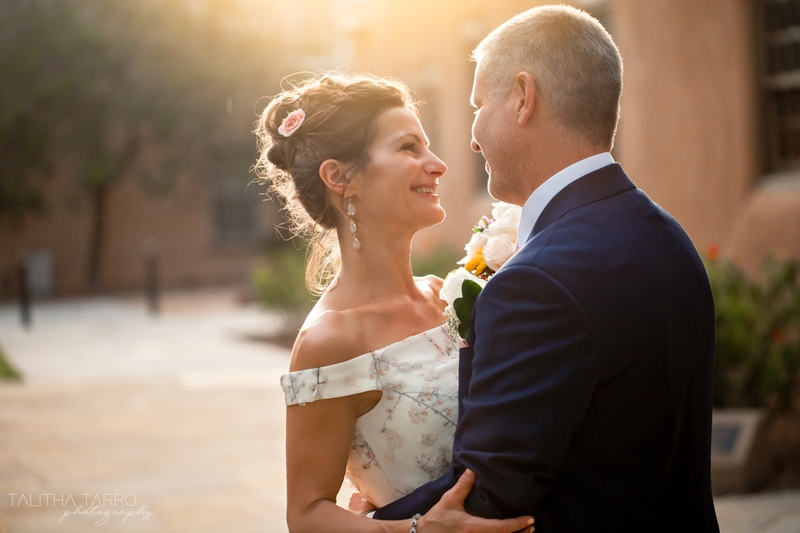 At the end of the ceremony, the sun peeked through the clouds to give a golden glow for a few portraits of these cuties. 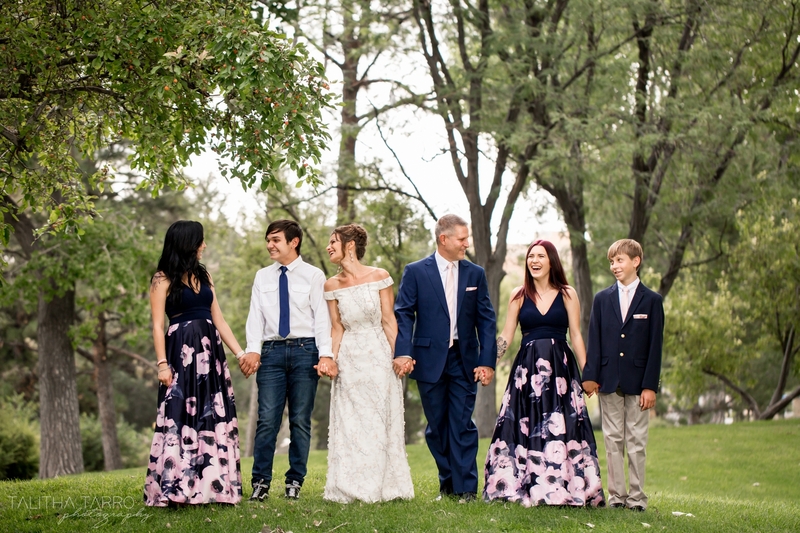 Bride & Groom with family. 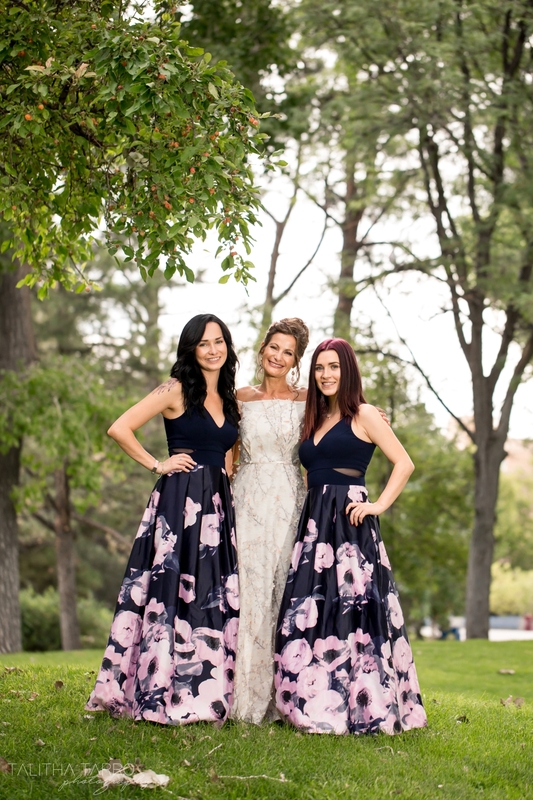 The Bride, Joanna with her sisters. Up close portrait of Bride & Groom. 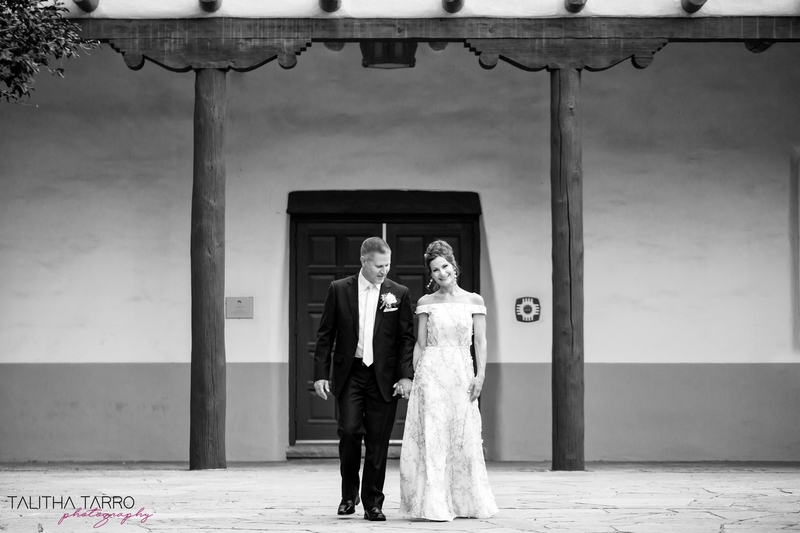 Black and white portrait of Bride & Groom at UNM Chapel (University of New Mexico). The Bride giving her Groom a kiss. Bride & Groom sharing in their love. Bridal brigade! At UNM Chapel. Bride, Groom and her pretty bridal bouquet. 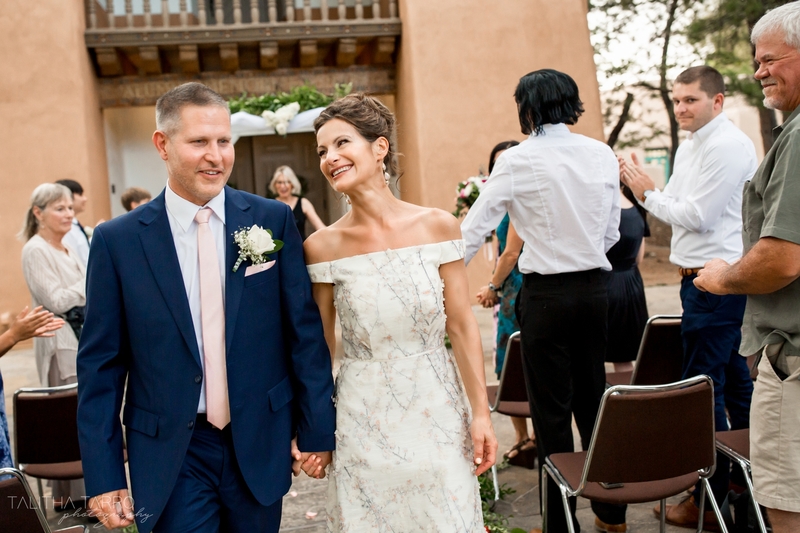 Bride & Groom before the Officiant Patricia Parkinson at UNM Chapel. 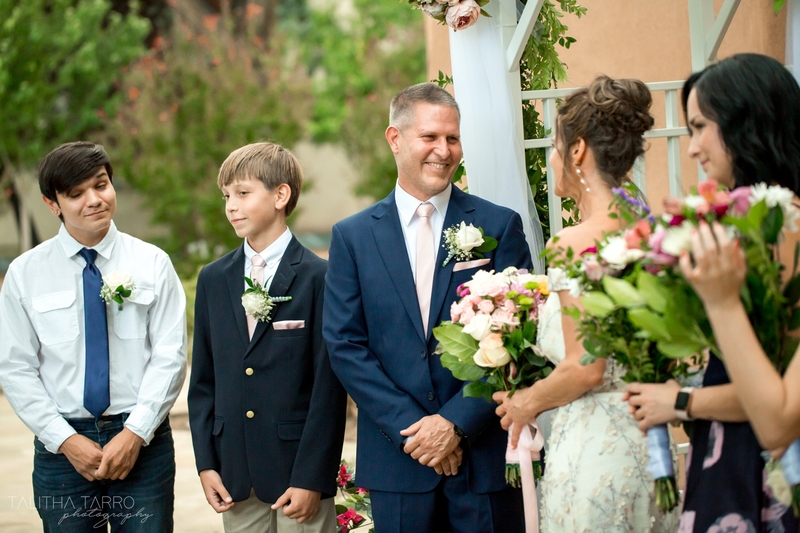 Sharing in laughter while reciting their vows. 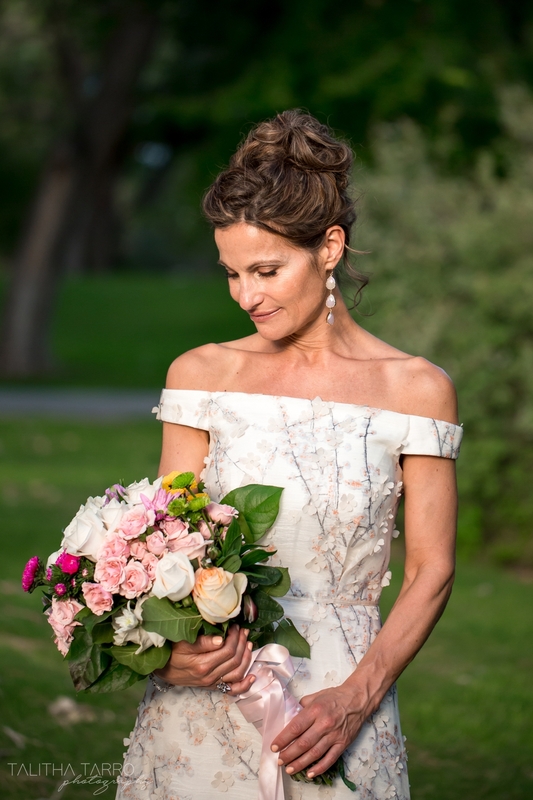 Bridal portrait with bouquet and beautiful DIY makeup. Portrait of the newly married Bride & Groom. The Bridge giving her Groom a kiss.